Do you know how electronic automation equipment is like fine jewelry for a woman? You should treat your electronic automation equipment like most women treat their fine jewelry. You see when fine jewelry gets worn a lot and gets a little dirty or loses it’s brilliance, women have it cleaned to restore it’s luster. But they don’t simply wash it in the sink, they have it chemically cleaned by an ultrasonic cleaner. The reason they do this and the same reason it should be done for your electronic automation equipment, is that chemical ultrasonic cleaning removes the smallest of particles of contamination from the hardest to reach areas. In jewelry this will help to restore its original beauty but in automation equipment it helps it to last for years longer and provide HUGE cost reduction in a maintenance budget. 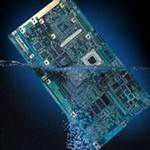 Ultrasonic cleaning is so critically valuable to equipment operation because it removes contaminates that prevent the tiny electronic components on the circuit board from being able to dissipate heat. When dirt and dust and other contaminates accumulate on and under and around electronic components,these components are not able to naturally get rid of the heat that builds up when power is applied under normal use. It is this build up of heat that reduces the lifespan of electronic components and causes them to fail prematurely. Then when you send it off to be repaired, if the repair vendor just simply washes the equipment in water or worse yet just dusts it off, then you are never going to get the maximum operating life you would get had it been chemically ultrasonically cleaned. If they don’t do this then request it, you deserve to have your equipment treated like fine jewelry and have it last years longer than a simple wash down or dusting off would do for you. Call us today at 1-800-962-6355 to get your equipment chemically ultrasonically cleaned using our proprietary process and get the maximum life from your electronic automation equipment.